Learn, grow, and connect at ASCD's conferences and events, which provide the professional learning you need to help your students, teachers, and school excel. We bring together the best minds in K–12 education to provide you with proven and practical strategies, connect you with both peers and experts, and reinvigorate your practice. Join ASCD and empower yourself, your team, your students, and your school. At our conferences, you'll discover personalized learning suited to your individual style and content that supports the whole child approach. Join education leaders at a conference developed for educators by educators to empower you to transform learning for your students and schools. The theme of the 2019 conference will be Building Resilient Schools. Whether your leadership imperatives are in a classroom, a school, or systemwide, this event will address your needs with practical solutions. We hope that you join us as we explore this year's theme: Resilient Schools in Action. The call for proposals to present at the 2019 Conference on Educational Leadership is open through Friday, April 12, 2019. ASCD Empower20 is a conference designed by educators for educators, provides the expertise and formats needed to develop sustainable and practical plans of action that solve problems of practice. 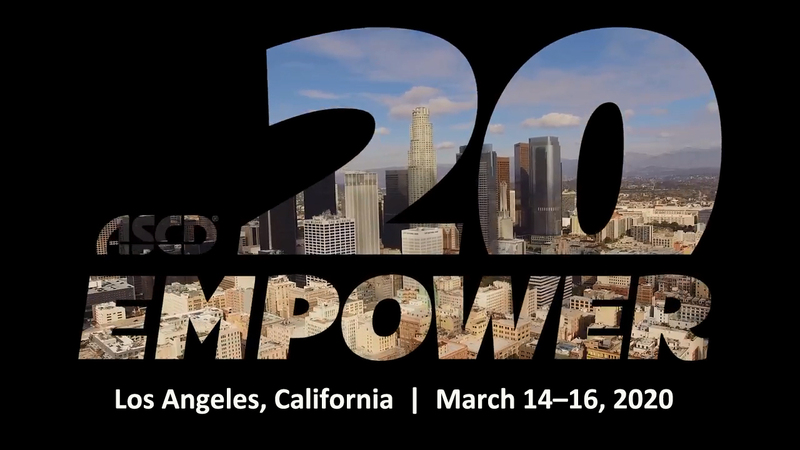 The call for proposals to present at ASCD Empower20: The Conference for Every Educator is now open through Friday, May 10, 2019. Arrive early for one of our larger conferences and choose from among as many as 30 intensive learning experiences before the main conference begins. We offer one-, two-, and three-day professional learning institutes focused on pressing issues facing teachers, principals, and administrators. ASCD Pre-Conference Institutes are led by prominent authors and experts and cover the important issues facing today's educators. Attend a pre- or post-conference institute at the 2019 ASCD Conference on Teaching Excellence. This summit convenes educators and thought leaders in an interactive, engaging program that aims to move us from ideas to actions that help students thrive in their schools, their communities, and around the world. Our advocacy and policy event builds educators' advocacy skills and connects them with education policymakers. We hold this invitation-only, three-day event each year to help constituent leaders develop their roles within ASCD. Submit your keynote speaker suggestions today! Think outside the box—the speakers don't have to be in the field of education.